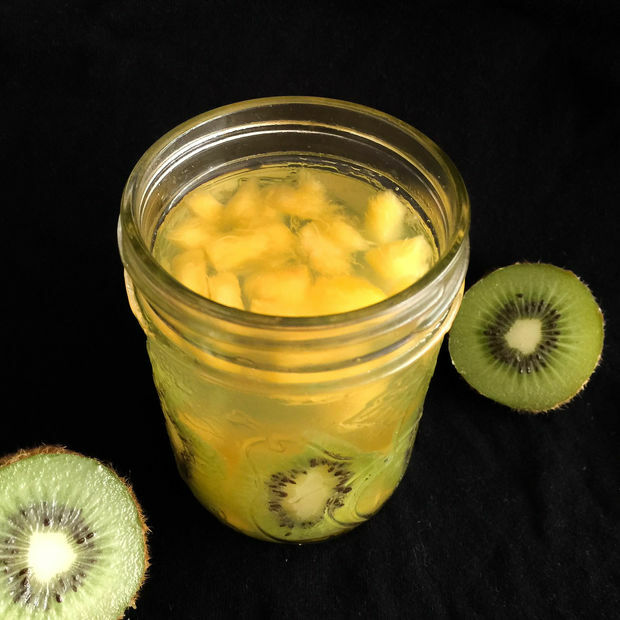 Coconut water fruit jelly is made with coconut water, gelatin and some fruits are infused in it. 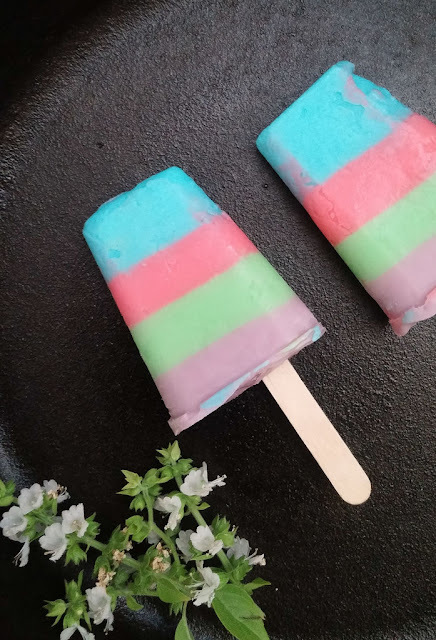 It is a perfect dish to beat the heat. Take 1/4 cup of coconut water in microwave safe bowl, add gelatin into it. let them sit for about 10 mins. 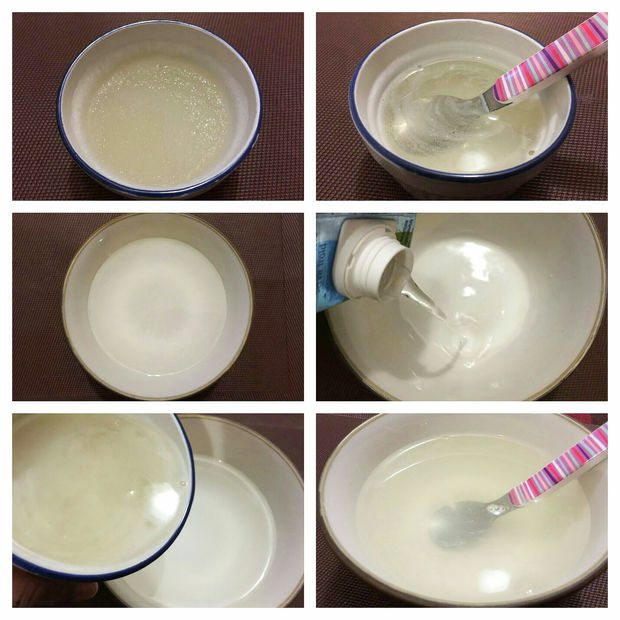 After 10 mins, microwave the gelatin mixture for 45 seconds or until it dissolved completely. 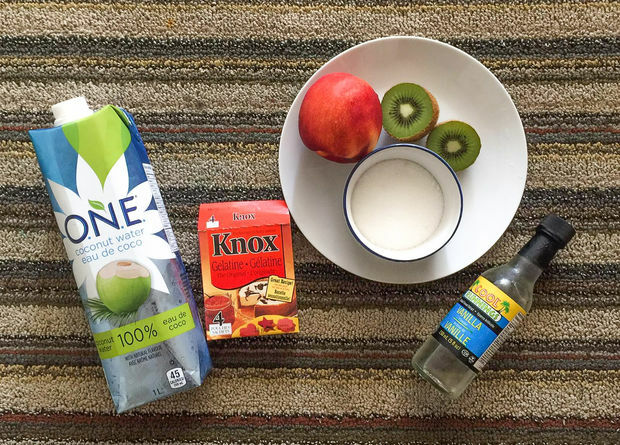 In an another bowl, take the remaining coconut water and sugar, mix until it dissolves. Add the gelatin mixture and extract to the coconut water, give a stir. Chop all the fruits you want to put that in the jellies. 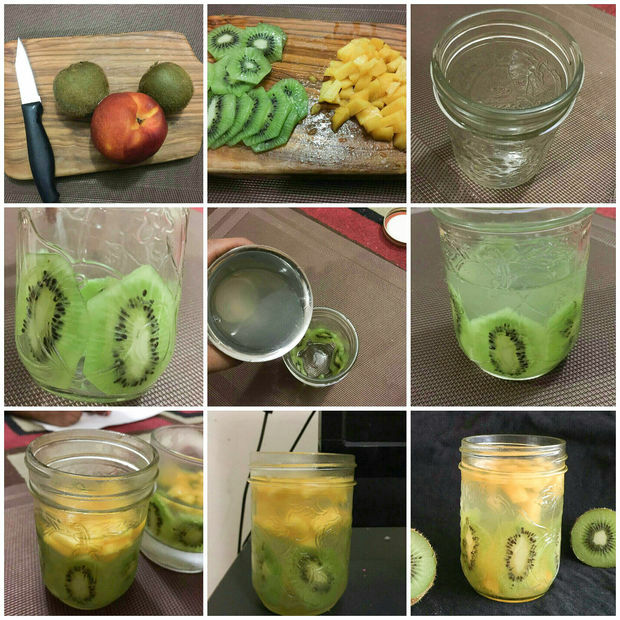 I have used kiwi and peach. 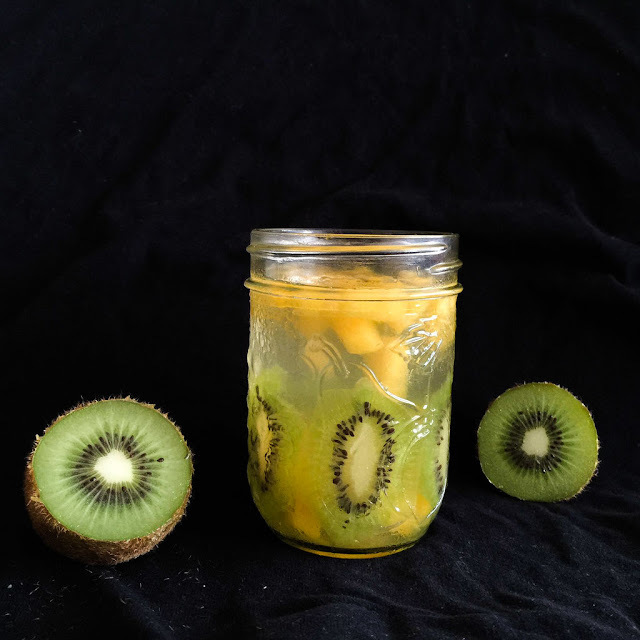 Place the sliced kiwi on the bottom of the glass and pour some coconut jelly mixture in it. let them sit in refrigerator for couple of hours. once the bottom layer set well, add the second layer of fruits and pour some coconut mixture on it. let it rest for 2 hours or until it sets well.